Time Dreamer is rated 3.4 out of 5 by 23. Rated 4 out of 5 by Plientje from Very good, solid game with a nice story! You can time-travel in your dreams, and so you can change anything you want. The storyline is told clearly and very captivating. The graphics are nice and clear. No voiceovers, that's why I only gave a 4 there. But if you consider that this game was released in 2010 - this is an awesome game! This is a great game to get if you are looking for something to use a free credit on! HOS are clear and more challenging then they seem at first sight. Some puzzles and quite a lot of adventure. All in all I had a great time! The gameplay was about 3 - 4 hours for me. Try it for yourself and enjoy! Rated 4 out of 5 by rosekaufmann from NICE LITTLE GAME BUT SHORT Quite a short (only 2 ½ hours casual) but enjoyable game. You have a diary with clues and tasks. STORYLINE: Skillfully told. You’ve been in a coma for 7 years and wake to find out your dad has been killed. You, however, are a time traveler – as long as you have a place to nap with a clock around, you can dream and travel to another time period. Your dad’s friend Giovanni befriends you and, together, you plan on how to change history so that your father isn’t dead and his invention hasn’t caused problems within the company he worked for (Infam). How is Infam involved in your dad’s death? Who exactly is Giovanni? Can he really help you with changing history for the better? Ending was satisfactory. GAMEPLAY: Nice ratio of HOS and puzzles. HOS are nicely done, not overcrowded, and objects have good visibility (even the flies can be easily seen). Puzzles are not too difficult. The hint system works well within and without the HOS. If you mouse over the name of an object in a HOS, a silhouette will appear above your cursor in casual mode. If you think you’ve finished everything in the location, try taking a nap. If you don’t travel to the past or future, you aren’t finished with that location. Usually clear direction of what to do and where to go. Good production values; music is not intrusive; smooth animation and nice pace. Graphics are quite nice and capture the change between the years. A pleasant afternoon or evening or play. 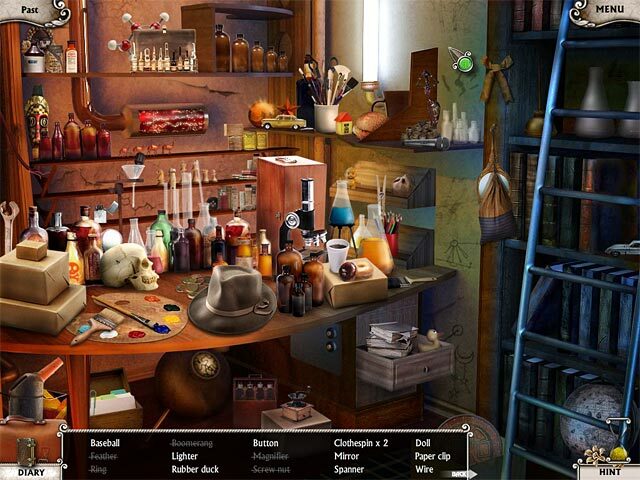 Rated 4 out of 5 by GrrlScientist from you CAN make a difference in the world -- in this game in this hidden object mystery, you awaken from a seven year long coma in hospital. you return home and find a few surprises -- for example, the place is a boarded up ruin and your father is dead. why? what happened? then a strange man turns up and reveals that you can time-travel when sleeping in the same room as a functioning timepiece. in this game, you use this unusual ability to solve the mystery of your father's death -- and to make a few positive changes in the world along the way. graphics: detailed and crisp. the hidden object scenes usually cluttered, and the objects on your search list (at least some of them), are very tiny and REALLY well hidden. you have to be very careful to make sure your cursor is actually ON the object you are trying to click on, too. 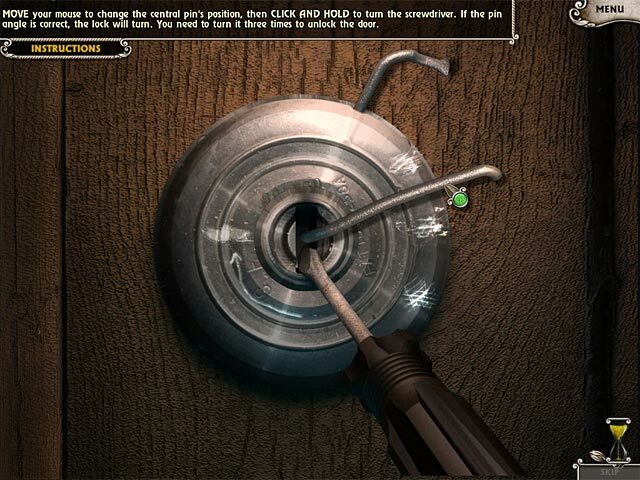 the developers included amusing dialogue at times, particularly after hidden object scenes were solved. mini-games are interesting and require some thought but none are especially difficult or novel. music and sound effects: music and sound effects were minimalist, but this seemed appropriate for setting the mood. no voiceovers, dialogue was scripted. 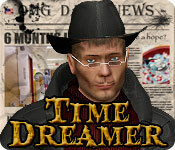 storyline: the plot revolves around a mystery and you use time travel to get around. gameplay: there are two modes of play, casual and expert. on casual mode, HO scenes have a click penalty and hints take a long time to recharge (several minutes). smooth gameplay, with no stutters or freezes. even though the story and characters are formulaic and the graphics are just above average (but nothing special), i am still drawn to this game. after playing the one hour demo, i am curious to learn how this particular story progresses and turns out. you may also share this feeling. additionally, the game certainly looks like good fun for the family. Rated 4 out of 5 by Hookedonbigfish from I enjoyed this game This game requires you travel back and forward in time to try and reverse some events in a shady takeover of an evil corporation and to find your Father. There are no voice overs but the dialoge does linger for enough time to read the whole story. The graphics are good clear and crisp. 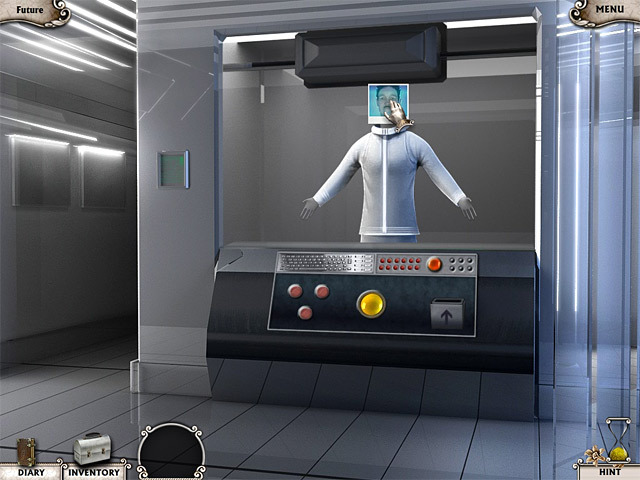 The puzzles and mini games are all interesting and different with some quite simple and others more difficult with most of the hidden objects quite well hidden but most reasonable easy to find and others present a bit of a challenge. The game did require a bit of backtracking through time and the different scenes to find your objectives but all in all quite a servicable and interesting game. Rated 4 out of 5 by aunttoes3 from Just a Fun Game to Play! I like this game very much. My grand-daughter ask to play the "one where the man goes to sleep" because she can run the mouse over the items in the hidden object scenes and it shows her the shape. Since she is too young to read, it really helps her to be able to play alone. Of course, I supervise...lol. When I play a game it is for fun, so I really don't critique the graphics and music. As long as it is fun, has a good storyline (which this did) and I enjoy it, then that is all I ask of an enjoyable game.